Ok hi soo the “ghost” pictures. That night I heard strange noises. And my friends cat was freaking out. So I took a picture. I’m not sure if I’m just imagining things, my sister and my friend couldn’t see anything. And the quality is not the best  I had to zoom in because it’s my friends flat and she doesn’t want pictures of her home on the internet. Maybe it’s just because of the bad quality but I see a little girl with black hair and a white dress (first picture middle to bottom right). Also I was all alone that night. Please be nice I don’t know anything about ghosts and it’s my first ghost picture  Give me your opinion! Can you see her too or am I just imagining things? FYNK James: I don’t really see anything and that may be because it’s super blurry. 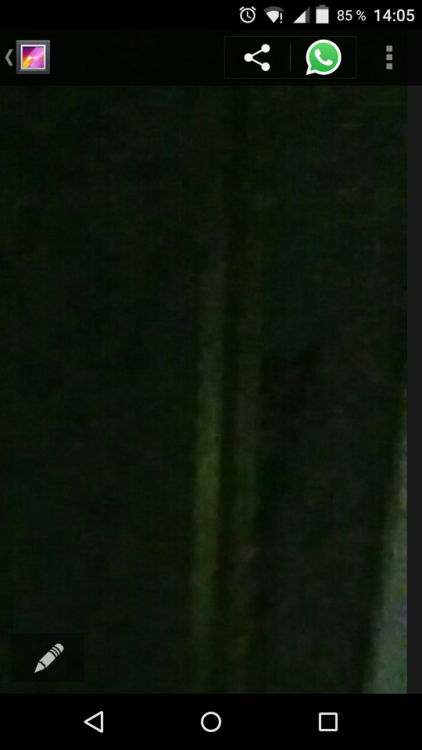 But if you saw a little girl with black hair and your friend’s cat confirmed it I’m gonna have to ask you to invest in a better camera so I could get my hands on some spicy ghost pics.